This can become a new approach at monitoring patients with low-risk prostate cancer. Urologists at University of California, San Diego School of Medicine and Genesis Healthcare Partners have tested a new model of care for patients with low-risk prostate cancer. The evidence-based approach uses best practices to appropriately select and follow patients to avoid disease overtreatment. Results of the three-year study are now published online in the journal of Urology. 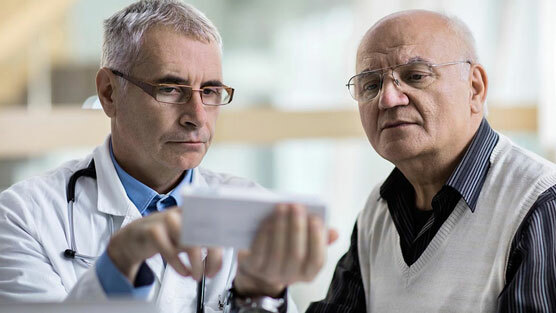 Active surveillance or watchful waiting as it is sometimes referred to, is a technique whereby a doctor will monitor a patient closely for any significant changes or progression in their prostate cancer. A patient will also be tested periodically to check for any signs that the cancer itself is developing. During this period of active surveillance no treatment of any kind will be administered to the patient. This includes any kind of medication, radiation treatment, chemotherapy or surgery that is used in treating prostate cancer.. Active surveillance is a preferable approach to treatment when the prostate cancer is small, slow growing and confined to the prostate gland. Urologists at Genesis Healthcare and UC San Diego Health jointly developed a reporting mechanism to improve the process of tracking patients with prostate cancer. The research team developed standardized selection criteria based on scientific literature for patients to be followed with AS according to tumor characteristics, including clinical cancer staging, Gleason (pathology grading) and PSA scores. In addition, comparative dashboards were developed to show individual physician AS adoption rates compared to their peers.